Altass-Cheshire provide, comprehensive, sensitive assessments for courts-CoP3, Lasting Power of Attorney, and offer support and training to employers and employees in relation to mental health and capacity issues. We put clients at the heart of any work we do, to get the best outcome for all involved.Lack of Capacity can be caused by illness, brain injury, drug addiction, dementia, mental ill health, changes in home situation, or as a result of our individual history. This list is by no means exhaustive, it simply illustrates the breadth of vulnerability that individuals and their families can face. Burstalls is a firm of Solicitors based in Hull but serving the whole of East Yorkshire with a strong reputation for providing high quality, common sense advice. Two of our solicitors are members of STEP (Society of Trust and Estate Practitioners) and one is a full accredited member of Solicitors for the Elderly, which is only achieved after gaining significant experience in this field, as well as undertaking a unique qualification which focusses on additional skills to enable them to work effectively with older and vulnerable people. Butterflies Memory Loss Support Group was set up by June Cooke in 2010 after her father, George, was diagnosed with dementia in 2008. They enjoy monthly social gatherings, singing, walking, community events, day trips and support for them and their families. Looking for care for an elderly relative can be an extremely daunting and complex process. At Care Home Finder, our main priority is to help people in this situation find the care solution that’s right for them. The Society of Later Life Advisers (SOLLA) is a not for profit organisation, created in 2008 to ensure that consumers are better informed about the financial issues of later life, can find a fully accredited adviser quickly and easily, and gives peace of mind and assurance that the advice you are given is from an Adviser who has proved they have specialist knowledge of the sector. girlmonday2friday offer a bespoke, professional, business and personal service dealing with many of the practical aspects of the transition into long term care, Court of Protection Deputy-ships, or bereavement, providing a very cost effective and professional service for solicitors, families or friends. We have over 30 years involvement with the care sector, so are well placed to provide the support which is so vital. We offer complete confidentiality, integrity and experience. In addition to this, we are providing support to a growing number of private individuals and families, where they need a helping hand to deal with the practical issues and have no experience to draw upon, to make the process as smooth and untraumatic as possible. We can offer independent and unbiased advice and assistance in what can be difficult circumstances. It doesn't need any interaction from your loved one. All the features simply appear without them have to touch or press anything. It is setup and maintained by family members, friends or carers via the myhomehelper. myhomehelepr was orginally created by Hull resdident, Kevin Marsch, to help him look after his Mum, who was diagnosed with Vascular Dementia in 2010. It is now used by families around the world to help stay in touch and provide assistance and assurance with their daily living. Older People’s Partnership Group (OPPG) is a multi-agency partnership aimed at promoting the needs of older people and assists in co-ordinating and improving existing services. The OPPG is now made up of over 40 organisations, voluntary, public and private services and groups that work with and support older people in living in Hull and East Riding. Our aim is to work together to improve the lives of the ageing population, reduce loneliness and isolation, develop opportunities for the older population to understand and be aware of services and support that they can access which can enhance quality of life and encourage independent living. 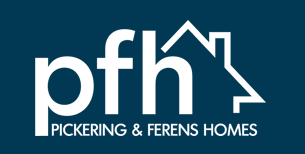 Pickering & Ferens Homes (PFH) is a registered Housing Association & charity providing high quality housing for people over the age of 60 in Hull & East Riding. We are a leading UK manager of retirement properties and retirement homes. The Charity manages over 1350 homes in Hull and East Riding. We aim to provide excellent quality homes and services with a particular social value emphasis on health and wellbeing in later life to keep people independent for as long as possible and in their own homes.